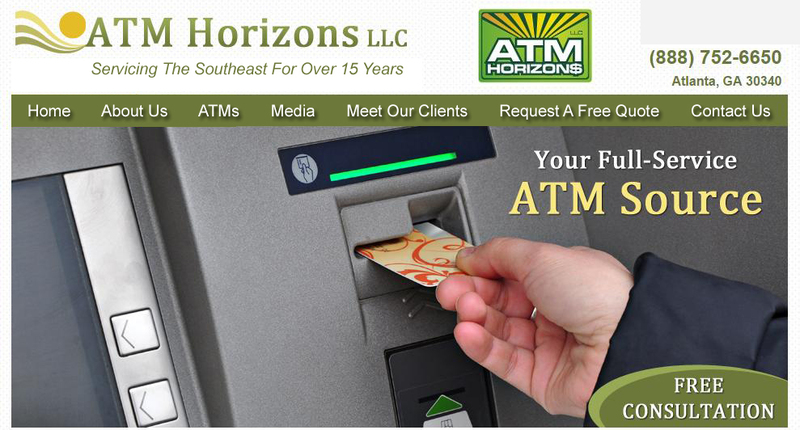 Keep your business running smoothly with ATM sales and service from ATM Horizons LLC in Atlanta, Georgia. We have been the Southeast’s leading provider of ATM services to companies of all sizes for more than 15 years. Our services include solutions for all types of ATM machines, vault cash services, repairs, maintenance, ATM communications, all adding value to our client’s machines. Our machines can communicate from analog phone lines, land line internet, or wireless internet connections to allow easy operation. These machines are easy to operate. We offer the best prices on new and used machines. We offer fast shipping and delivery for all our clients’ needs, and your purchase comes with installation and programming.